There is nothing better than shared play in the playground! You can slide, swing or hang on a bar... Unfortunately, beautiful weather doesn’t last throughout the entire year and you can’t play forever. 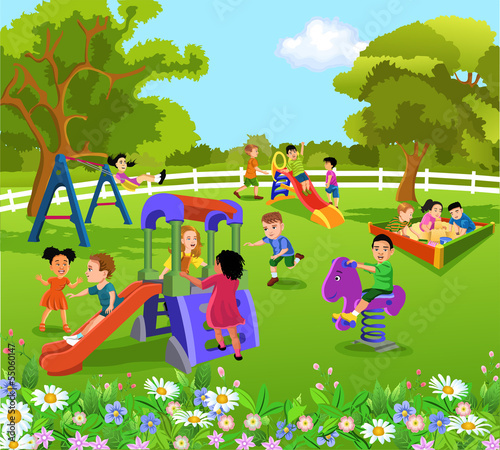 A photo wallpaper with a motif of happy children in the playground will allow your child to wait for the moment of play in a more pleasant atmosphere.